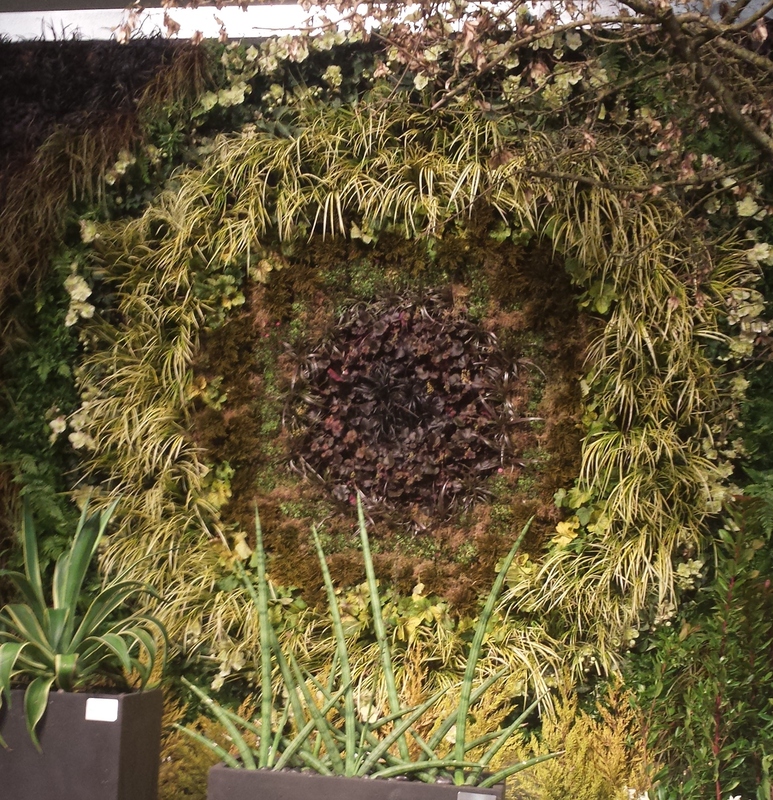 This stunning Living Wall Bull’s Eye, created by West Seattle Nursery, won two major awards at the show–and was my personal favorite. 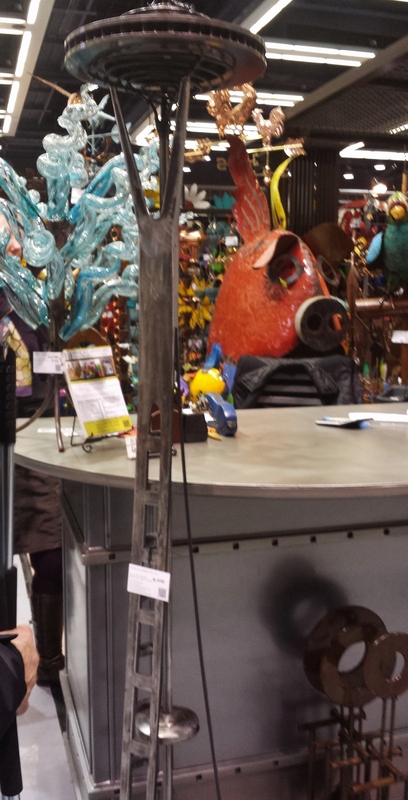 Check out the accompanying Living Hanging Lamp below. 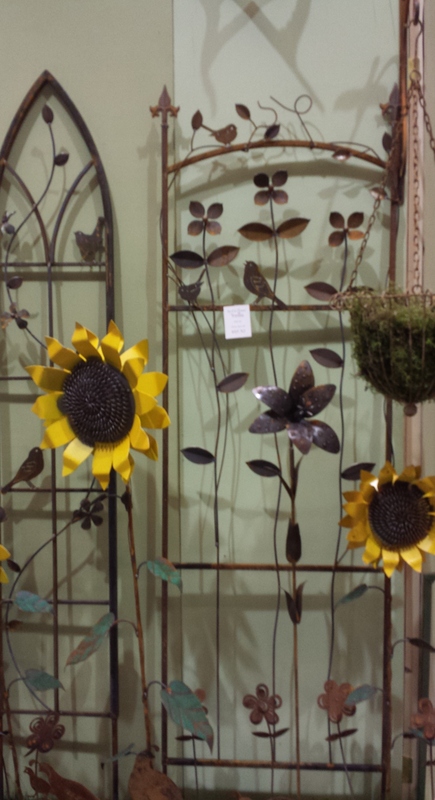 Of course, I was on the hunt for clematis and clematis-related items. Only a very few clematis were showcased in the major displays. 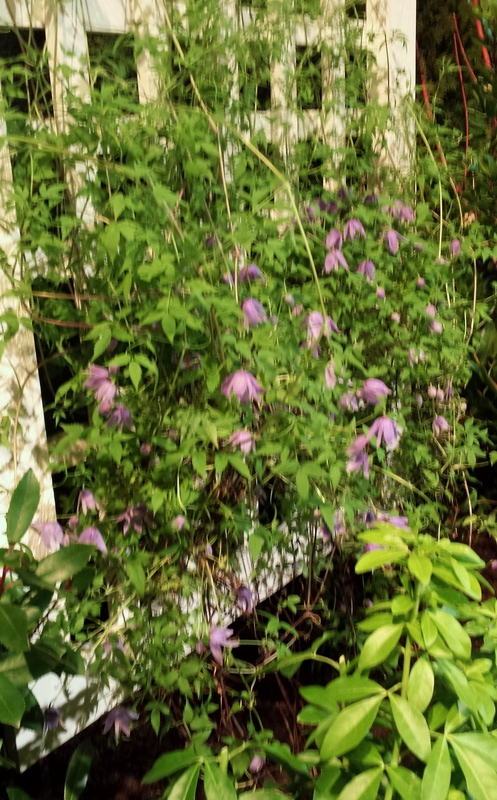 Below is a lavender Clematis alpina tucked into a fence. Poor lighting and distance from the viewer made getting a usable photo of the nearby New Zealand clematis impossible — but it was there! 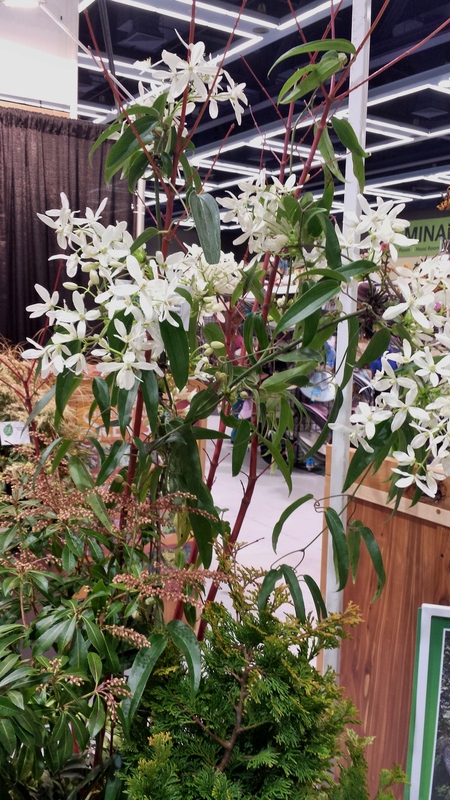 Several Clematis armandii were on display at the show, both in the major display areas and among the vendors. The only one actually blooming was this one at the Great Plant Picks booth. Here in the Seattle area, we should be seeing (and smelling) Clematis armandii in full bloom within a month! 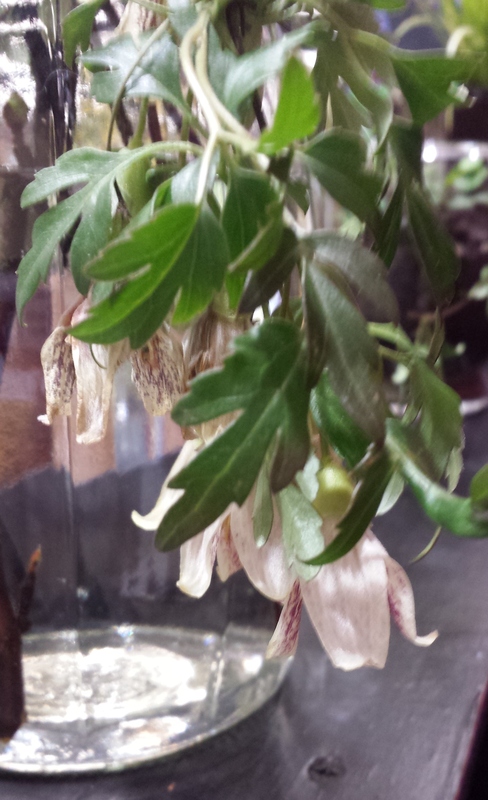 The last clematis I saw was the species Clematis balearica at the Northwest Perennial Alliance booth. 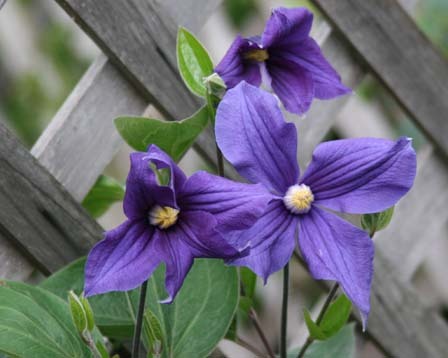 The better-known Clematis Freckles is a selection of this one. 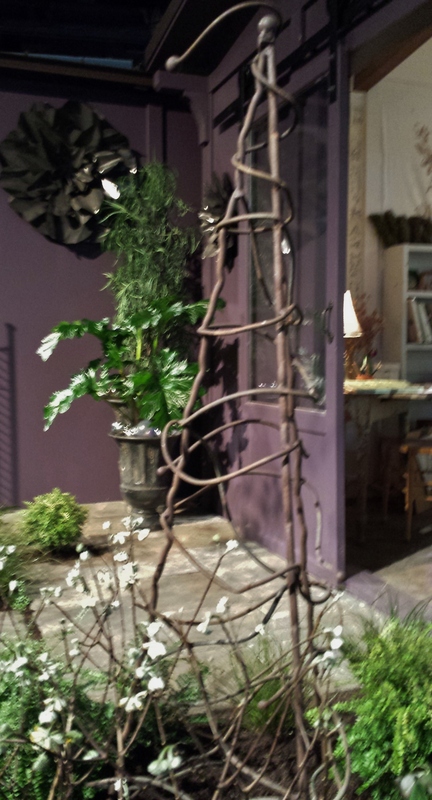 Only one clematis (Clematis durundii) was for sale at the show (bare-root) – see photo below. Since I already have that one, I managed to get home without a single clematis! Where, oh where has Clearview Clematis been the past few years? This British Columbian clematis grower set up beautiful clematis displays each year and had loads of clems for sale at the show! 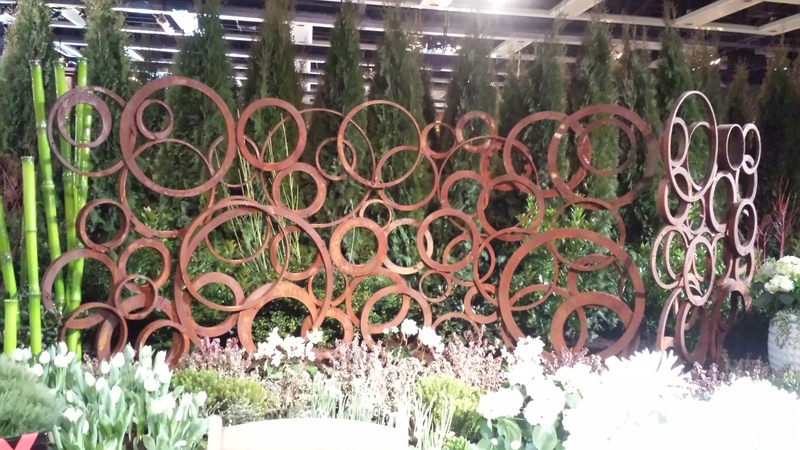 Rusty iron circles artfully welded together. Rustic Tuteur. 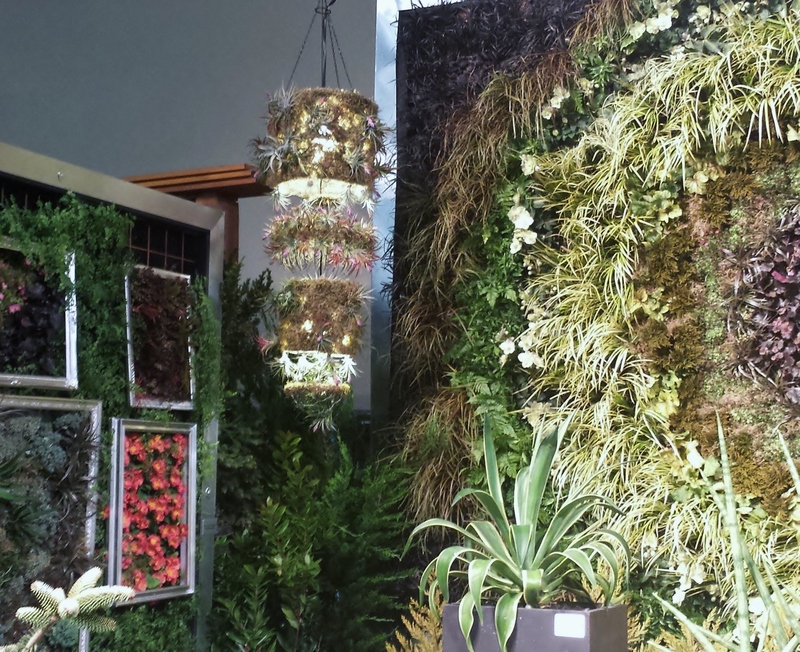 Wouldn’t a clematis look great on that? Wild and crazy wires! 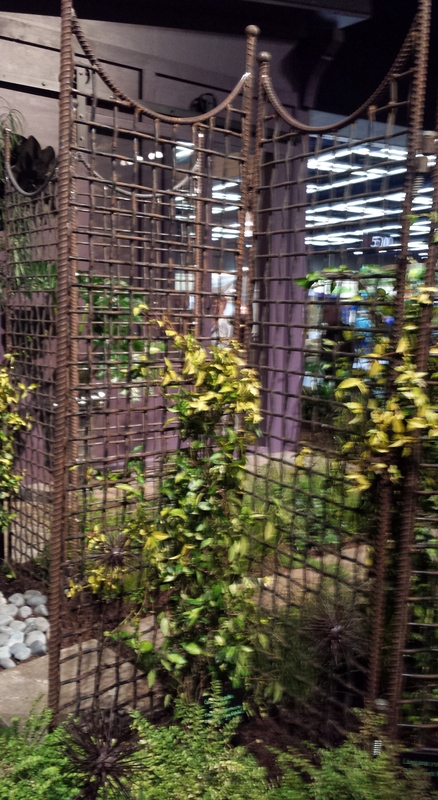 Perfect for vines. How about some real clematis to go with the wrought iron ones? 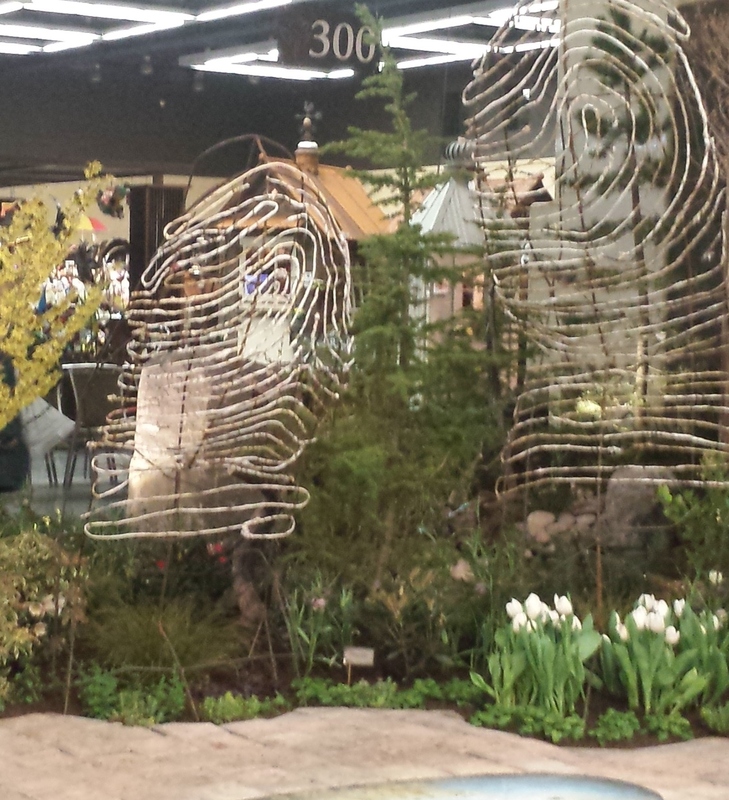 Multitudes of vendors were cheek and jowl in the sales areas. Eyes were popping and credit cards were singing. 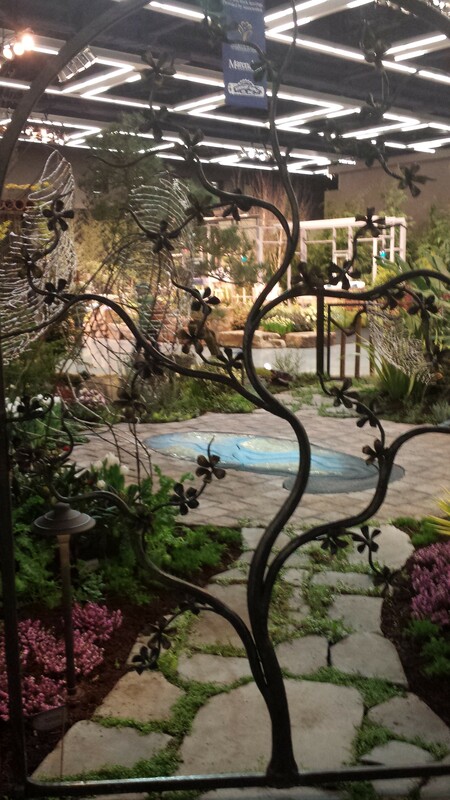 Below are a sampling of potential clematis structures among the vendors. 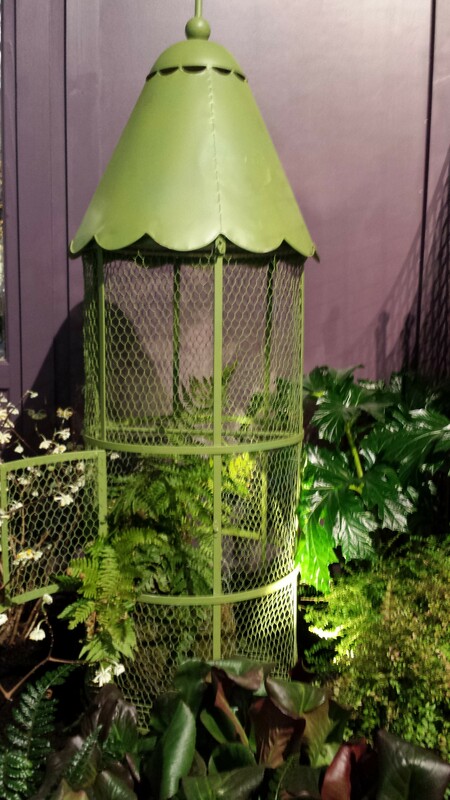 Lovely metal panels for fences. 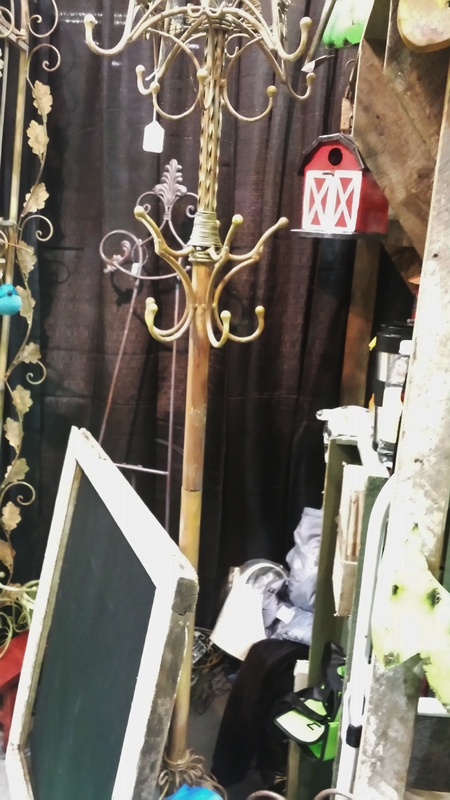 How about a coat rack? 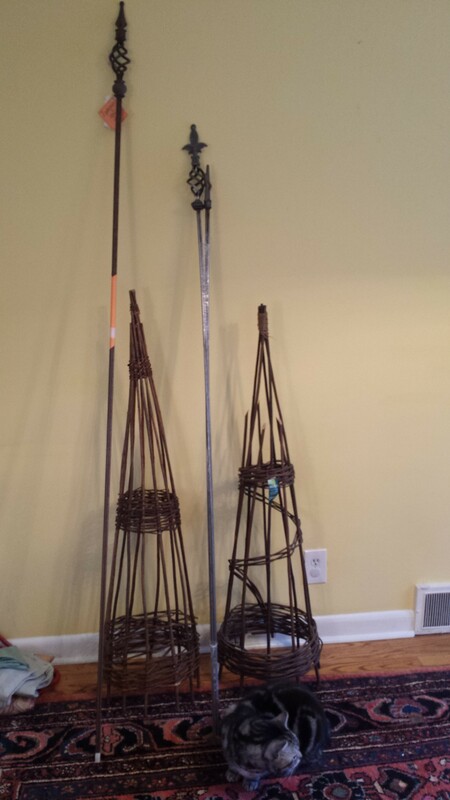 Because I am growing many more clematis in pots now, I came home with two 4′ willow tuteurs, two 5′ metal tuteurs, and one 6′ metal tuteur (I may use that one in the ground). My cat, of course, thought this was a photo-op for him. 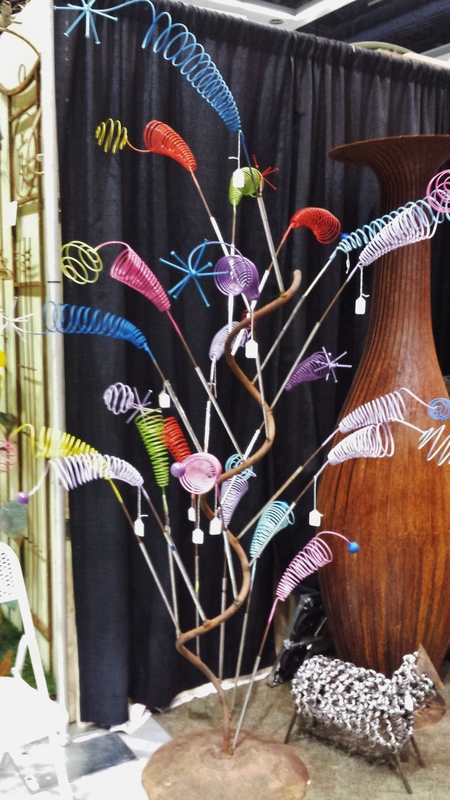 An exciting vendor I discovered at the Flower Show is Garden Connect, which sells simple rubber connectors. 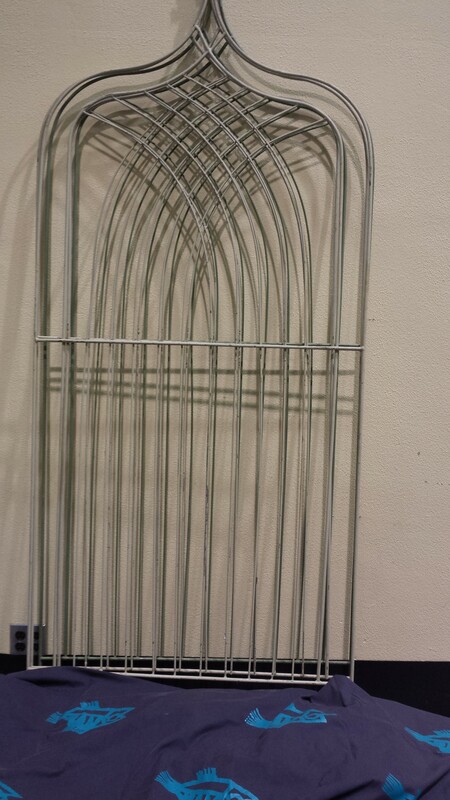 You can use them to make your own tuteurs, fences, or structures for veggies like peas and cucumbers. See photos below or go to the Garden Connect website. I came home with three packs of these! Garden Connects — for fast, easy plant support. 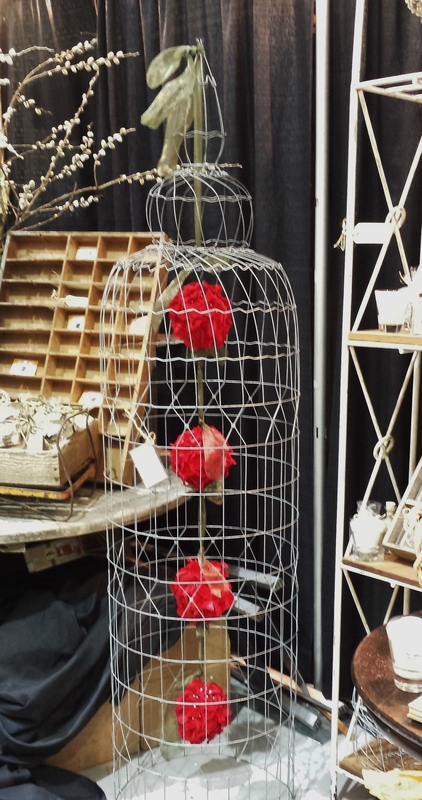 Now if the weather would just cooperate so I could get out there and start making more structures for my clematis!